Answers to the most common—and controversial—questions about creation. How you view your origins will ultimately determine how you live your life. If you believe you are a function of undirected, purposeless processes, you will live by a different standard than if you know you are created in the image of God. 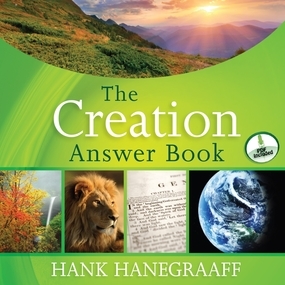 In The Creation Answer Book, Hank Hanegraaff, renowned host of the Bible Answer Man broadcast, provides clear and concise answers to questions that stumble seekers and solidify skeptics in opposition to a biblical worldview. Includes answers to frequently asked questions such as: Can the big bang theory be harmonized with Genesis? Is there evidence that humans and dinosaurs walked on the earth together? Can we be certain that naturalistic evolution is a myth?